shouldn't that be a boooo..? Damn, this looks awesome! I love the textures...they're amazing! At any rate, this goes to my favs and Happy New Year! OMG kawai you're so talented! hmmm, I like the colours and stuff, very dark and melodic. Some things seem a bit flat though, like the poll she's holding on. Textures are kinda neat, good job. Wow such a pretty wallie. :D I love the textures you used. Nice and elegant image. Nice worked with colors and texture. I like when it has this painting feeling. A talented piece from a talented waller... love textures.. even more love the painted styles... you are made of awesome and hawtness... this wall is too. Oh Wow! I really love this! Everything looks so pretty and cool! You did a really great job! Oh my gosh i love everything about this wallpaper the viens and the lady is so cool and creative how you postioned her..wow..and the over all color of this wallpaper is so pretty..wow and i love the background..wow..i love this so much. This wall is so beautiful. Its soft tones, and textures just make it a site to see! Its darkness in it adds a mysterious beauty that you just want to stare at forever, the vector and position of the main character adds a unique touch to this pretty wall, its whole atmosphere is divine. The color choice for the mood is really good tho...needs improvement but nice piece thats for sure. I don't get why you're not happy with this wall, it's really nice. The whole collage concept is well applied and looks good, whatever your first ideas were. 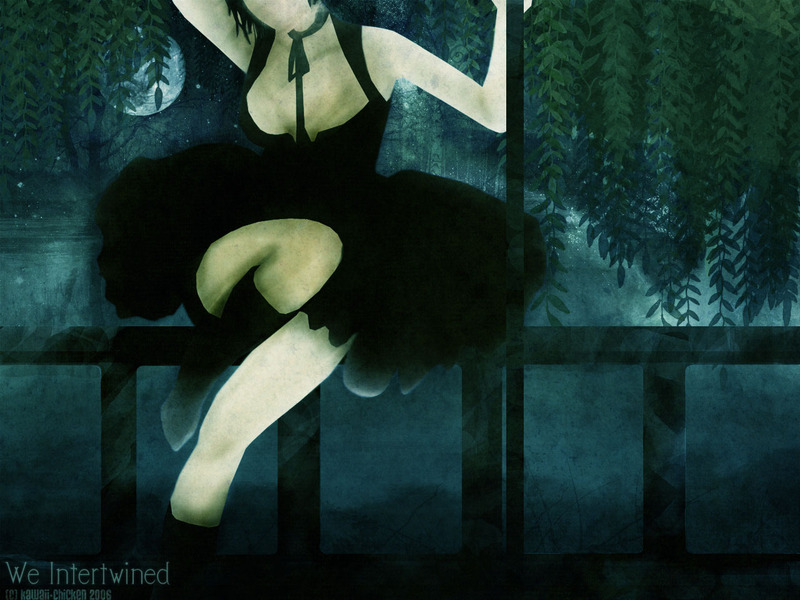 The only thing would be behind the ballerina, there's some useless scenic clutter; the stars shouldn't be there.